Conducting live cutting tests of a pure water cutting system before delivery to UK customer. Cutting the foam material is a quick an easy process, using only a high pressure jet stream of water to cut extremely narrow cuts at 0.1 mm. As seen in the pictures the foam can get a little wet while cutting. This is easily avoided by putting a sheet of Masonite under the foam material before cutting. 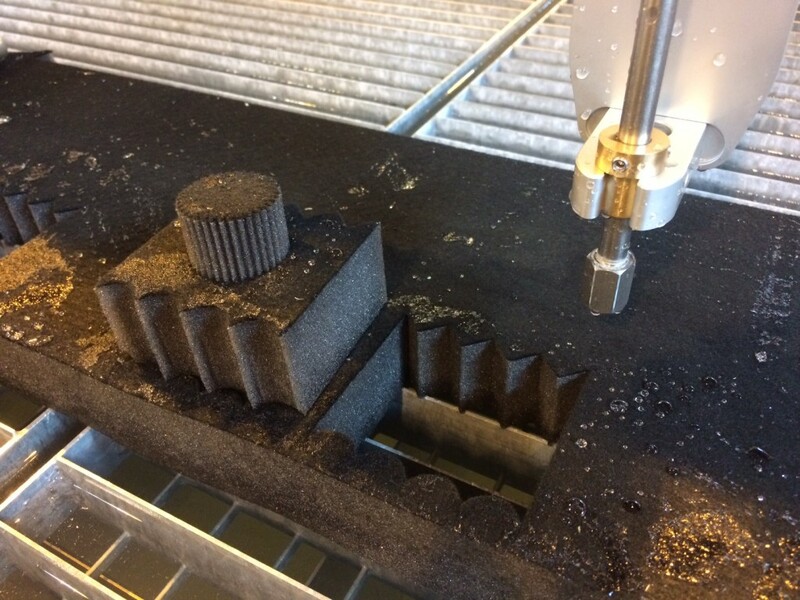 All machines from Water Jet Sweden thoroughly tested with advanced testing equipment from Renishaw. We use both Laser for static measurements and Ballbar measuring dynamic performance of positioning and repetition accuracy. To secure the cutting process and the cutting performance we also do live cutting tests. 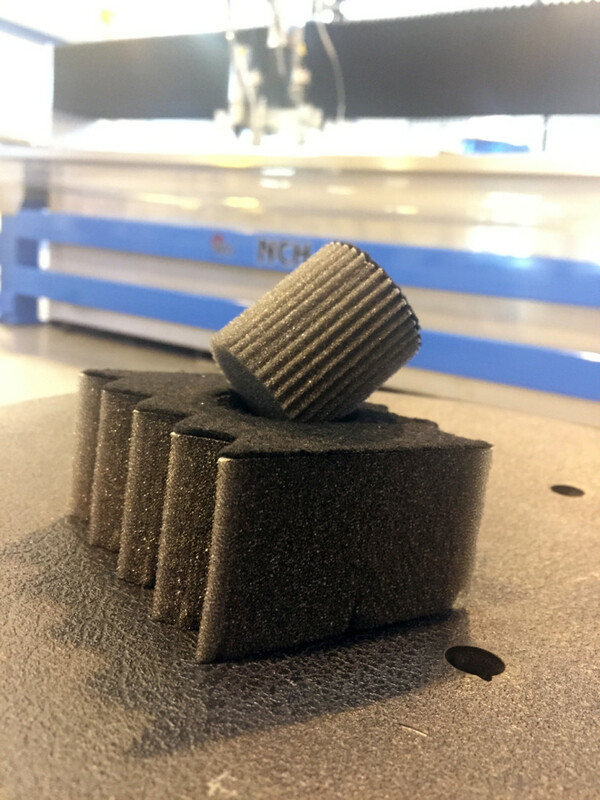 Either a factory acceptance test, cutting specific customer parts or a dummy part to review the overall cutting performance. 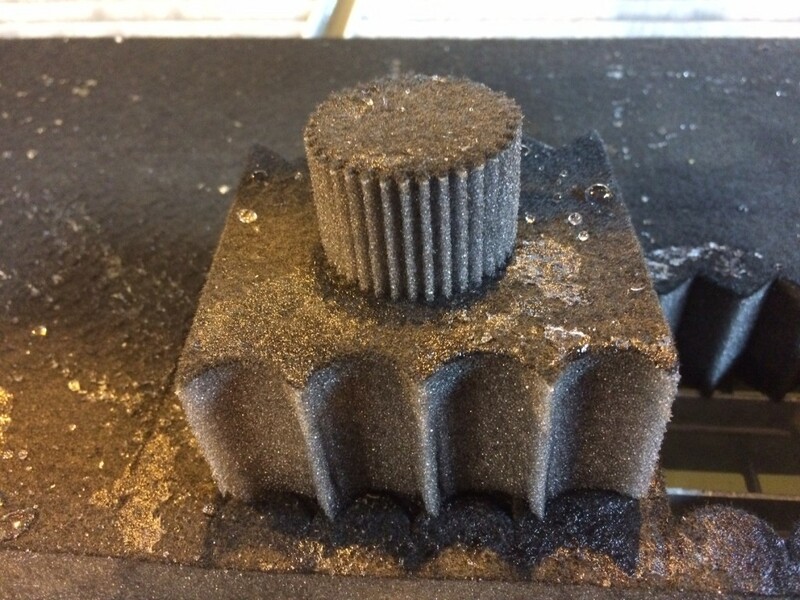 No water jet machine from Water Jet Sweden leaves the production halls without being thoroughly tested. Devoted to (your) performance.